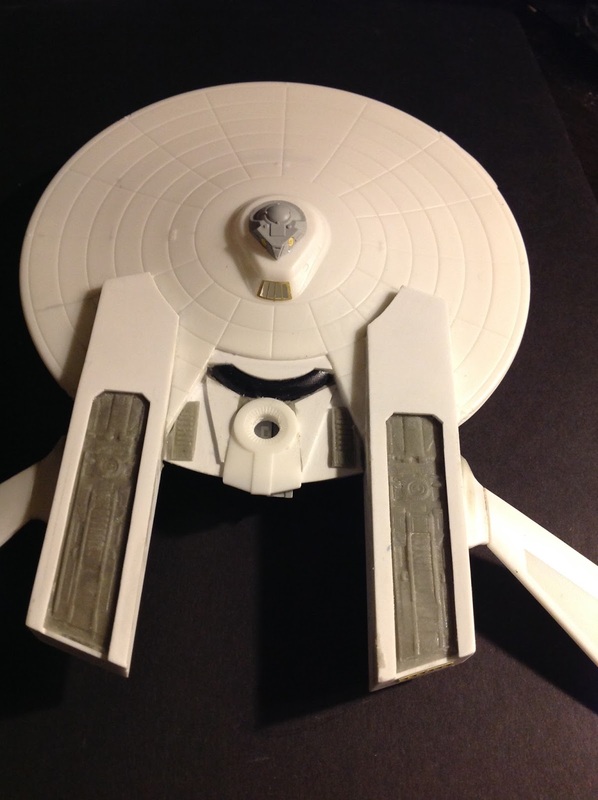 I was able to build a majority of the superstructure. 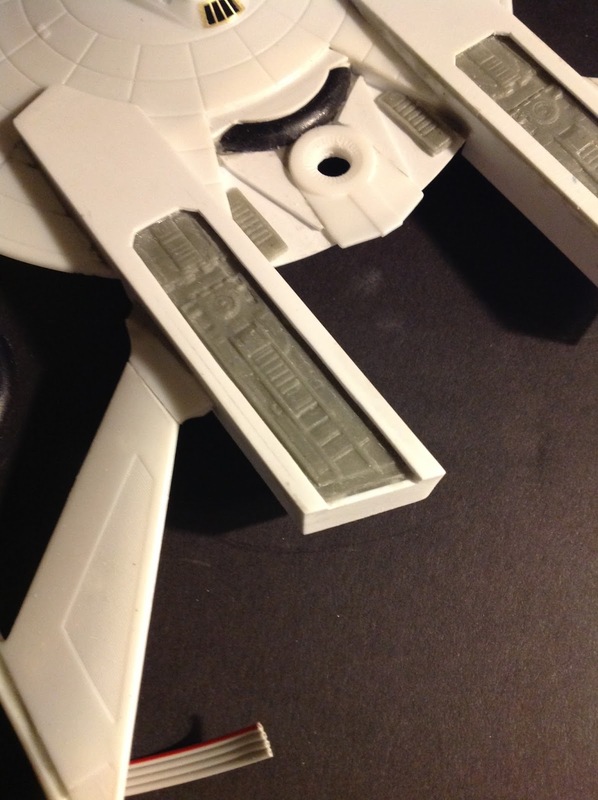 There is still another layering of detail to come. 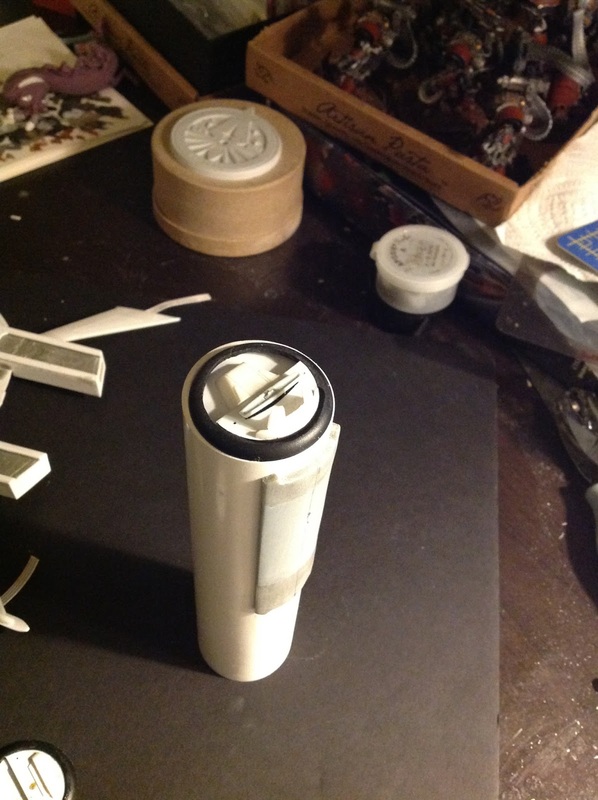 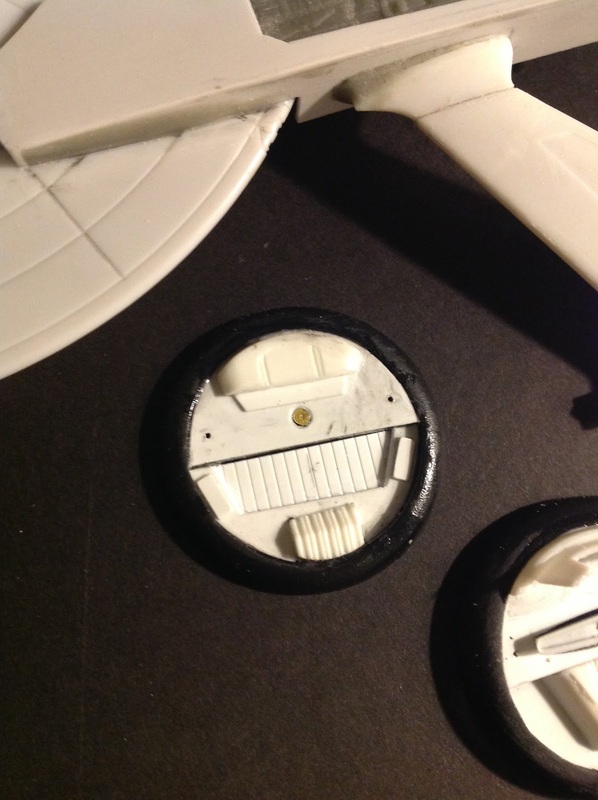 I also built new end caps for the cargo pod. 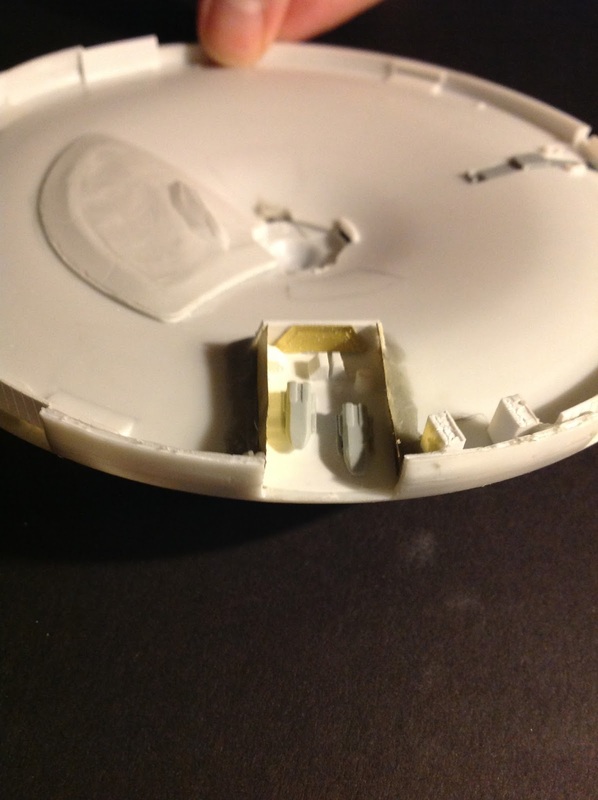 For the detail on the extended structure, I made a press mold of the back pieces of the 1K Scale reliant and duplicated them in epoxy putty. 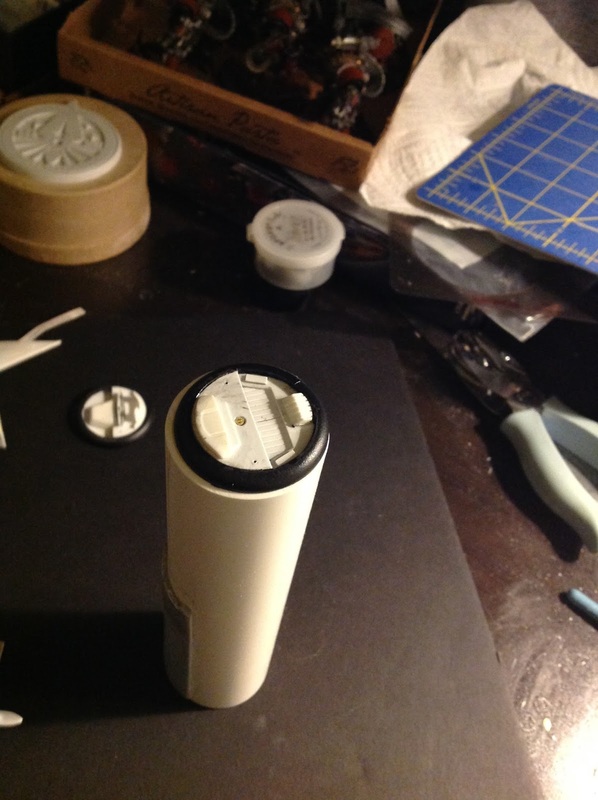 I chopped up and reglued the pylons with ribbon cable inside for the lighting. 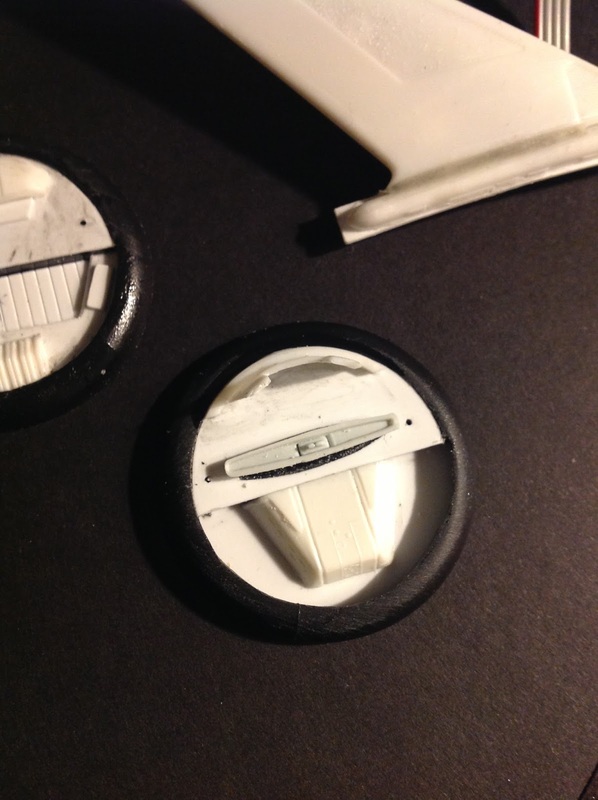 The new more detailed end caps for the cargo pod. 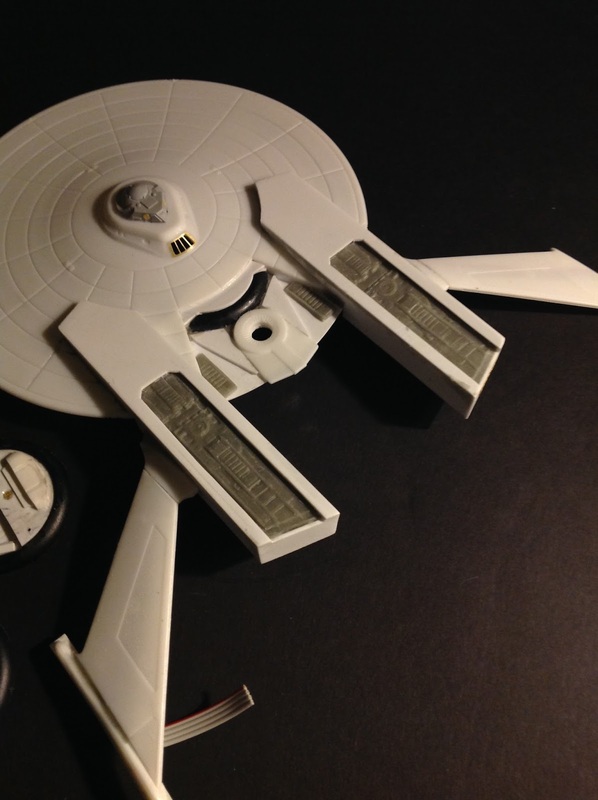 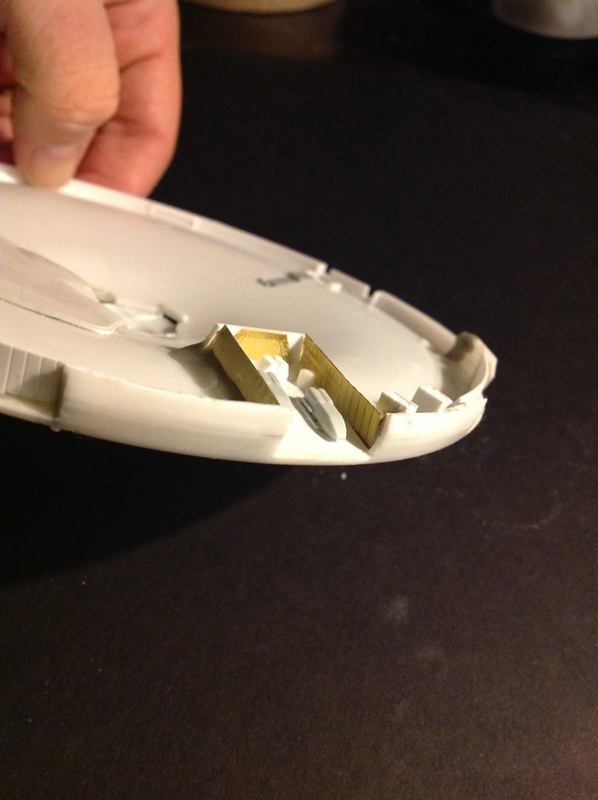 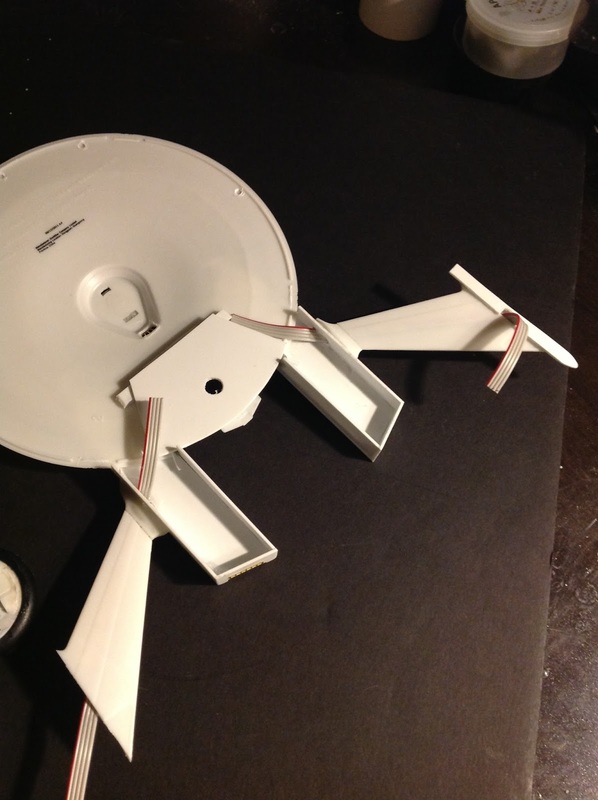 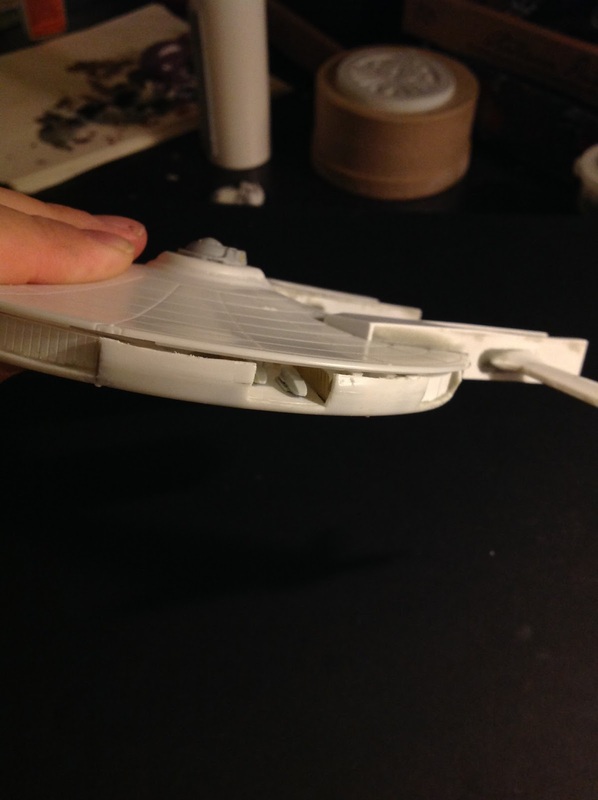 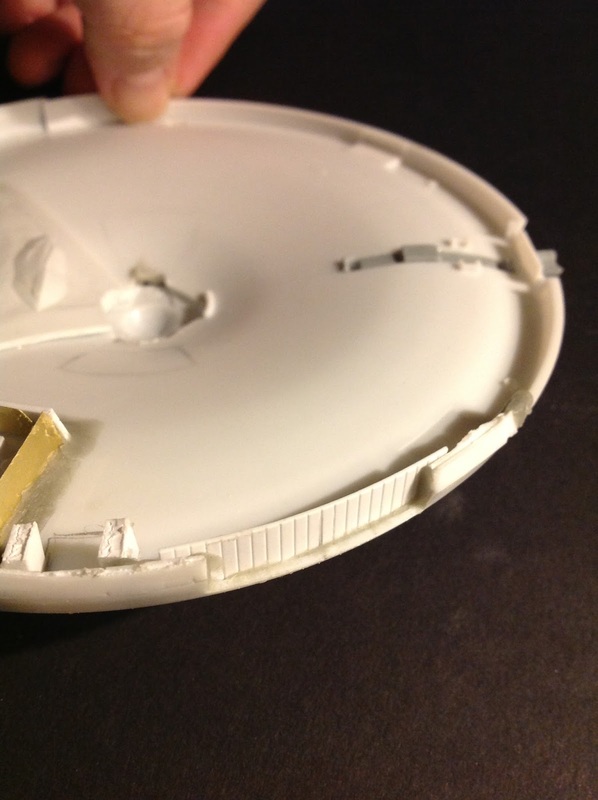 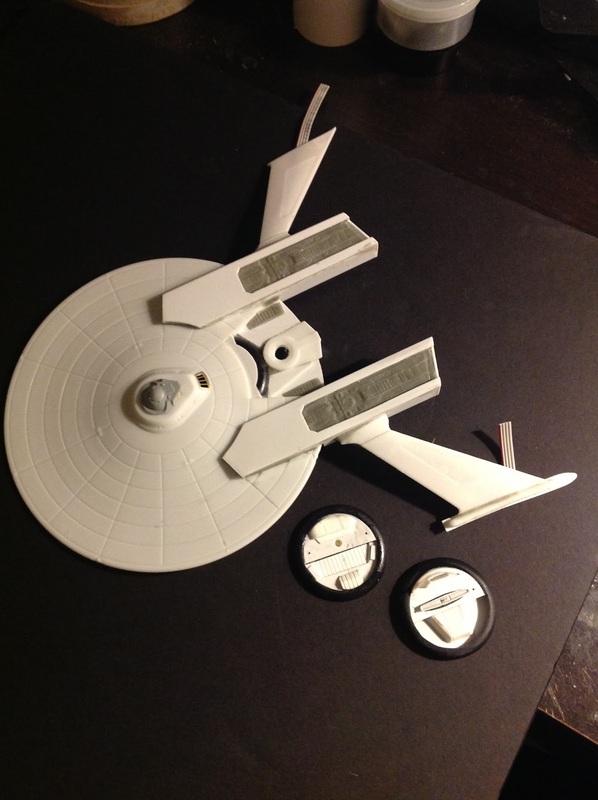 I built the one open shuttle bay and began the process of elevating the saucer section.